How to Date Without Losing Yourself: 5 Fierce Self Love Tools for Women. This piece was originally published by our friends at Psyched in San Francisco Magazine. We share in their mission to “build a culture of well-being,” and appreciate the high quality information and advice they are offering to the public. Stay tuned for more content from our friends at Psyched in San Francisco Magazine! Been on any good dates lately? Whether you’re swiping, winking or chatting, one thing that most of us can agree on is that dating can really mess with your emotions; one week you are riding the wave of a potential connection, full of hope, your imagination launching into a future together; the next you are coping with disappointment or rejection, plunged into a downward spiral of loneliness, longing for your old boyfriend or vowing never to date again. Today I’d like to offer five key tools for how to date without losing yourself. While I can’t promise that ending or starting a new relationship will ever be easy, it cuts to the core of some of our most human vulnerabilities—the desire to be loved. I’d like to share some of the tools I’ve learned (the hard way) about how to date from a more self connected, self loving place. My hope is that you will feel better about yourself and what you have to offer, and that, because your focus is staying with you, you’ll feel more grounded in the process. The real bonus too, is that with these tools you’ll actually get to experience dating for what it is—an experiment in getting information about your self with another person. Tool#1: Remember that you are awesome, likable and worth knowing. It’s not your job to get someone who doesn’t like you to be into you. Common Roadblocks: If you start dating while you are still grieving, angry at, or sort-of-still-emotionally-involved with the last one, it’s often harder to believe this about yourself. While you’re going through a time of loss, you’re naturally more vulnerable to needing to feel loved and more likely to give up your needs to get it. A potential fresh rejection, however small, can reopen the barely healed hurt. Lots of people use dating to avoid feeling and healing the loss of their past relationship(s). I know it can be hard to hear that it’s better to feel that pain. To do this work it’s helpful to get yourself resourced internally through therapy, counseling, workshops, exercise, mindfulness classes or spiritual practice, and externally through supportive friends who you can be real with, a new life purpose, or a new community where you feel that you belong. In the end, sadness, loneliness, and fear are just emotions, they’ll swell and subside like a wave, and you’ll survive. You may even feel a new sense of strength and trust that you can make healthy life choices for yourself even if they mean dealing with these guys. Common Roadblocks: In order to do this, you’ll need to practice mindfulness, or observing your inner experience with curiosity and acceptance. Keep an eye out for your “conclusion mind” -–-the part of you that all too easily gets hooked in a constant loop about what everything means. Oh, he likes camping just like me! This is going to work out. Or, wow, he isn’t working now, trouble. Although it’s normal to find your mind making conclusions like this, it can get in the way of noticing other parts of your experience. So when you notice yourself doing it, see if you can thank your conclusion mind for trying to figure it out and just come back to your present experience. The truth is that right now, with such limited information, you just don’t know yet: it’s an experiment. Tool #3: You’re allowed to have expectations, needs and boundaries. If someone isn’t meeting them, or is crossing them, take notice. Common Roadblocks: Sometimes our family systems teach us that it’s not okay to have needs or boundaries. We may push them aside in order to stay emotionally or physically safe; we may not be aware we even have them until we’re pushed to the breaking point. Culturally, women get messages that reinforce this early training. Author and therapist, Susan Elliot, touches on this theme in her book, Getting Past Your Breakup. A boundary is the recognition that you begin someplace, and I begin and end someplace else. What’s yours is yours and what’s mine is mine and we are clear on the difference. I’m responsible for my thoughts, feelings and actions, and you are responsible for yours. Take some time to be clear for yourself what your boundaries are: what type of physical contact is okay for you on a first date? What type of meeting place do you need to feel safe enough to connect? How much time do you feel comfortable allowing for a first meeting? How do you feel about dealing with the check? You have a right to any boundary you want; there is no such thing as too much if it truly feels important to you. If you are clear about your boundaries and someone pushes them, that’s good information to have. Tool #4: Take time to reflect or journal on your experience experiment and the information you got about you in connection with them. How much did I enjoy our time? What were my thoughts like on the date—stressed, rushing, confused, calm, anxious? What parts of me came forward? Did I feel excited, relaxed, grounded, open, anxious, bored? Was there humor/play, lightness? Did things feel serious, deep, high or low energy? How did the conversation feel—surface, tight, strained, spontaneous, interesting? Did the topics that came up help me know him better? Did I like myself with him? What patterns did I notice in myself? How did my body feel during the date/now? How did he respond to my boundaries/preferences? Weigh what you learned and consider whether you want to go out again to get more information. Keep in mind that, at this point, slightly “negative” information does not necessarily mean anything about your future! Unless you already feel strongly that this person isn’t good for you, give yourself more time to experiment. This is an important part of how to date without losing yourself. Tool #5: Use mini crises as learning moments. Common Roadblocks: Many people pull back or avoid talking about hard things believing that it’s better to show only your good side. As things progress life will most likely give you the chance to practice with some hard moments. You can use these as opportunities to get to know the person you’re with by adding these types of questions to your reflection list: How does he react when I ask for help? How supported do I feel? How does it feel to talk about something that’s hard for me? If you want to be with someone who cares about your feelings and needs when things get tough, don’t bury them in the early stages. Here’s your first chance to find out how they’ll be received before you are in too deep. One of my clients experienced this first hand when she noticed that with a certain type of interest from her date she felt open and trusting, but if this shifted she felt scared, small, desperate and turned off with the very same person. Recognizing her needs and an old pattern, she took the risk to tell him about her experience, viewing it as a chance to get information. She was relieved to find that it was well received, and felt better about herself and the budding relationship. No matter what the outcome, she took a step towards setting the tone for open communication and authentic connection in the future. As humans, connection is both our deepest longing and our greatest fear. The process of revealing yourself and allowing someone close enough to hurt you is vulnerable stuff. I hope these tools help you to navigate this journey with greater self love and self acceptance, and to build a loving relationship in the process. Please share your thoughts and experiences with me here! Thank you so much for this empowering read…it is very important to remember all you have shared here. This has been very much on my mind over the last few days and I really appreciate what you articulate here. It's really difficult sometimes to remain open to love while also protecting ourselves and articulating boundaries, at least in the way we've set up society at the moment. I'm coming off of some heartbreak but I don't want to close myself off to all the wonderful people and connections around me. Allowing myself to experiment with authenticity and patience has been a slow and beautiful process. "As humans, connection is both our deepest longing and our greatest fear. " Jodie Stein, MFT is a San Francisco based therapist helping women in transition to be fierce about loving themselves. 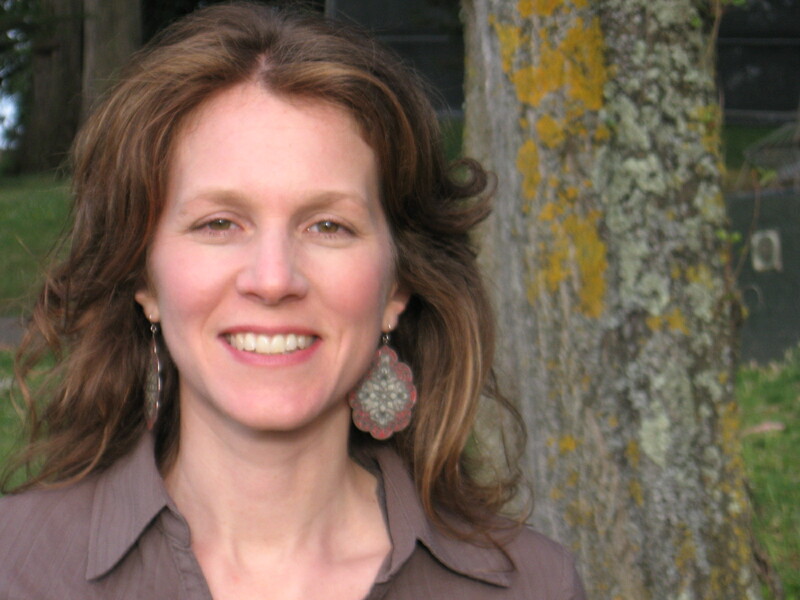 She offers a relational, body-centered, and mindfulness based approach to psychotherapy. She facilitates a therapy/support group for women in the separation and divorce process and is currently planning The Love Yourself Project, a new workshop for women in the break-up process looking to develop tools for inner resilience, grow community, and make an impact on others. You can connect with her on her website.